Looking for fresh air, exercise or to learn more about the natural world around you? If so, this is the perfect trip for you! 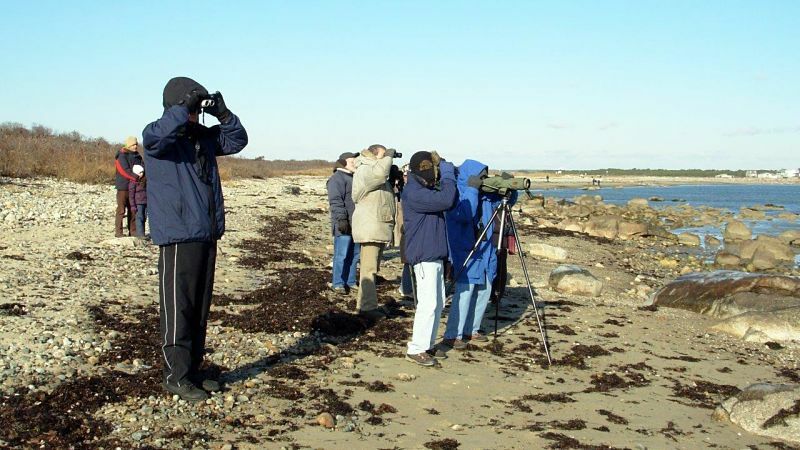 Join Research Director Mark Mello for this Lloyd Center tradition and celebrate the New Year with a peaceful walk on Gooseberry Neck beach. Focusing on coastal ecology and bird identification, Mark will identify winter waterfowl and ‘washed up’ marine life. January is a wonderful time of year to walk the coast and observe the effects of wave action on the slope and shape of the beach. The Lloyd Center’s New Year’s Day Beach Walk will take place on New Year’s Day from 10 am – 12 noon. Participants are to meet at the Gooseberry Island parking lot at the end of East Beach Road in Westport, MA. This is a very informal outing, and those that simply want to walk are more than welcome. Participants should dress warmly and wear hiking boots; binoculars and cameras are also recommended. If you have specific questions regarding the program, contact Mark at either 508-990-0505 x 22 or markmello@lloydcenter.org. This annual event is free to the public. All ages are welcome.